SONA — WE DID IT! 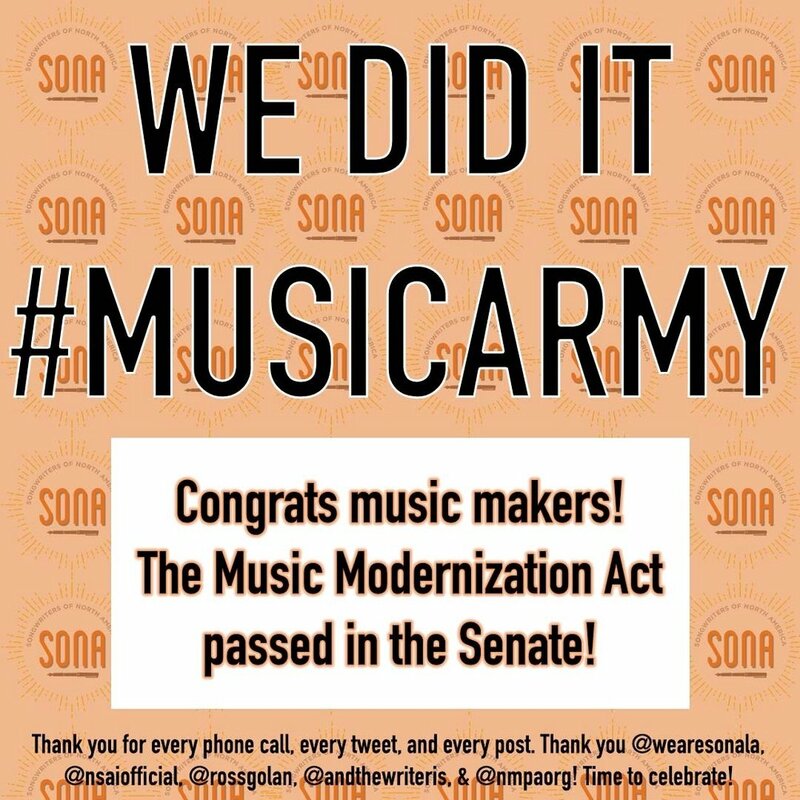 If you were anywhere near any kind of social media last week, you probably already know that THE MUSIC MODERNIZATION ACT PASSED IN THE SENATE!!! To everyone who tweeted, posted, emailed, made calls and helped push the bill over its largest hurdle - THANK YOU! You did this. Every post-game analysis of last week’s achievement credits our unshakeable unity as the key to our success. Next up? The bill goes back to the House for Reconciliation this week (probably tomorrow! ), then gets signed by the president and THEN its law. Once the Music Modernization Act is passed into law, the work really begins. Our first job will be to help our music creator community understand the new updated copyright law and how it will help them. Please keep an eye out for our upcoming salons and workshops on the MMA in the near future. THANK YOU!!! WE DID IT, #MUSIC ARMY!!! Older PostReport: 09/18/2018 WE PASSED THE SENATE!